The Solid Vannes Log Cabin is available in heavy 28mm thick Nordic white pine, with interlocking log walls. It is supplied with an opening single window, and windows fitted in the double hinged door. The sizes quoted above are external wall-to-wall dimensions, including the corner projections. 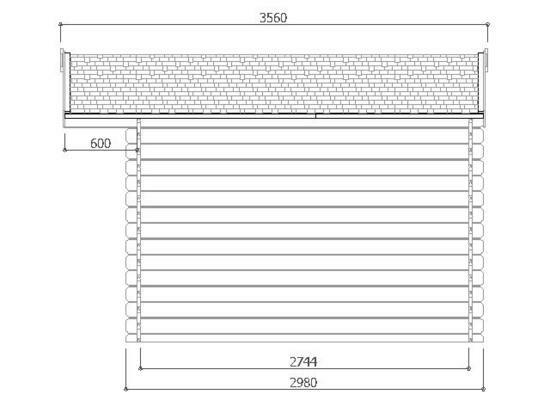 The extreme external dimension to the roof is 3260 x 4112mm, and the internal size is 2744mm x 3644mm.